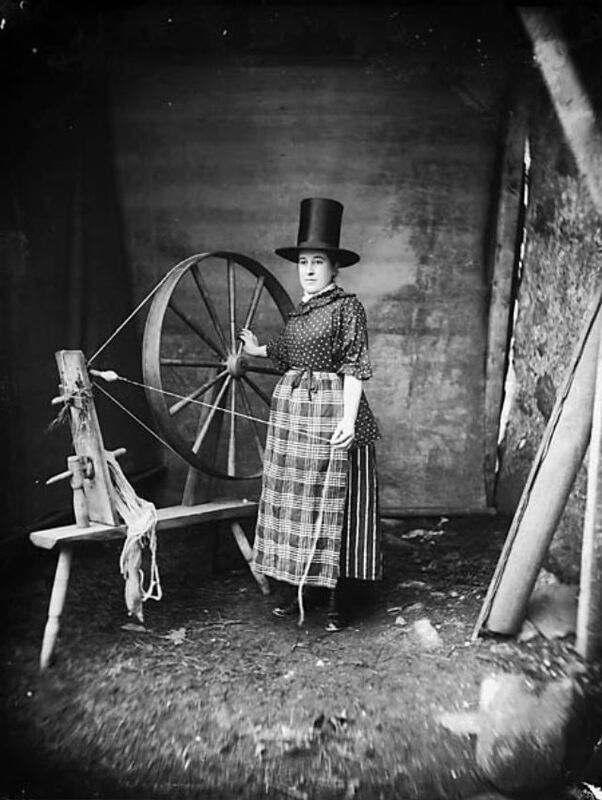 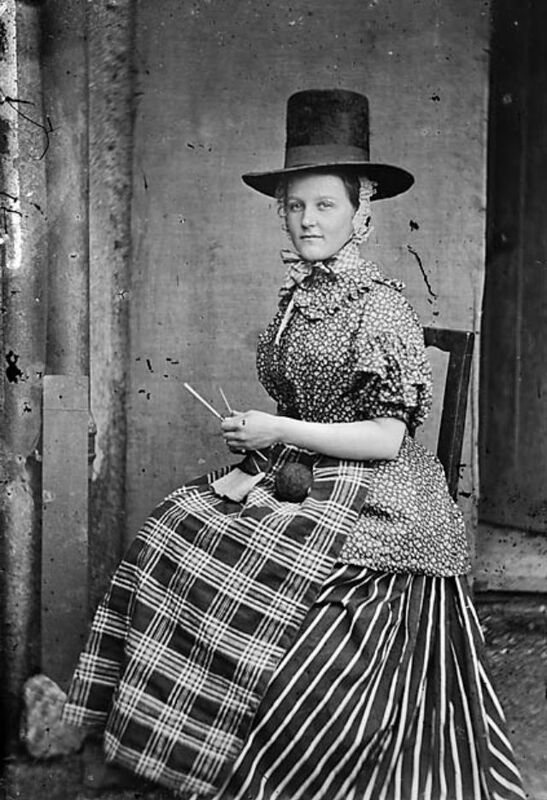 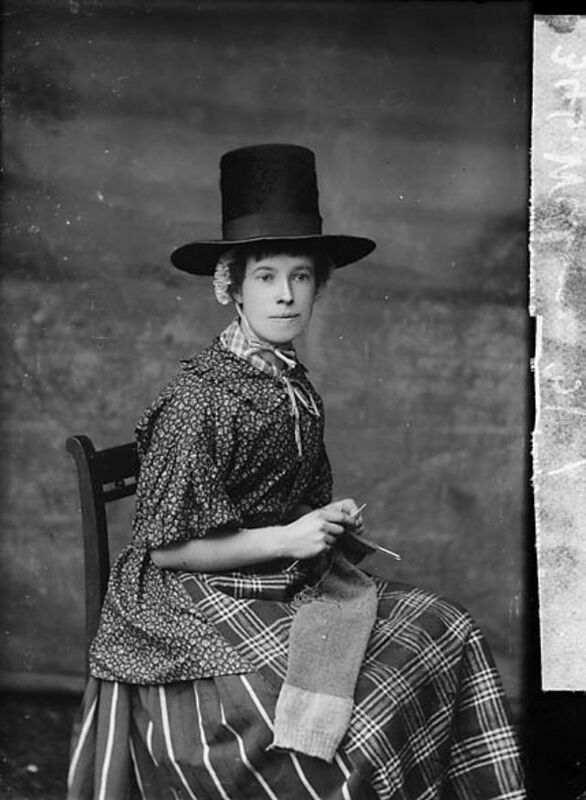 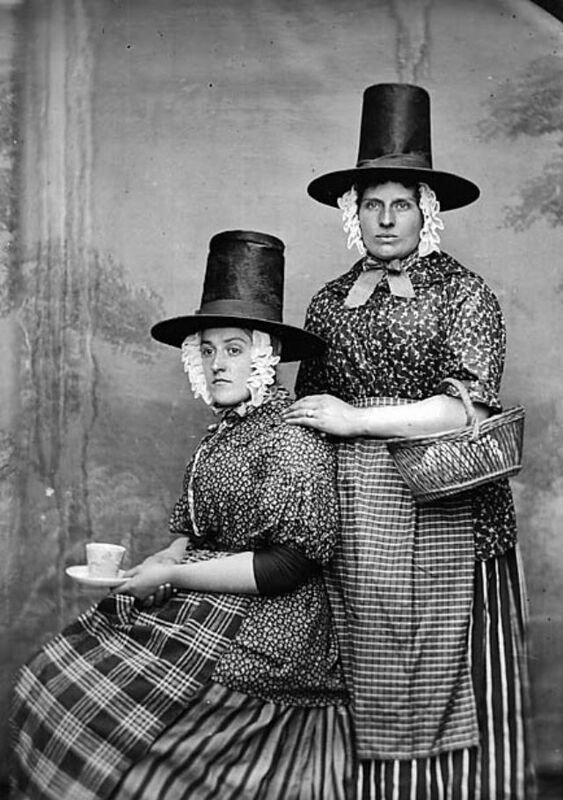 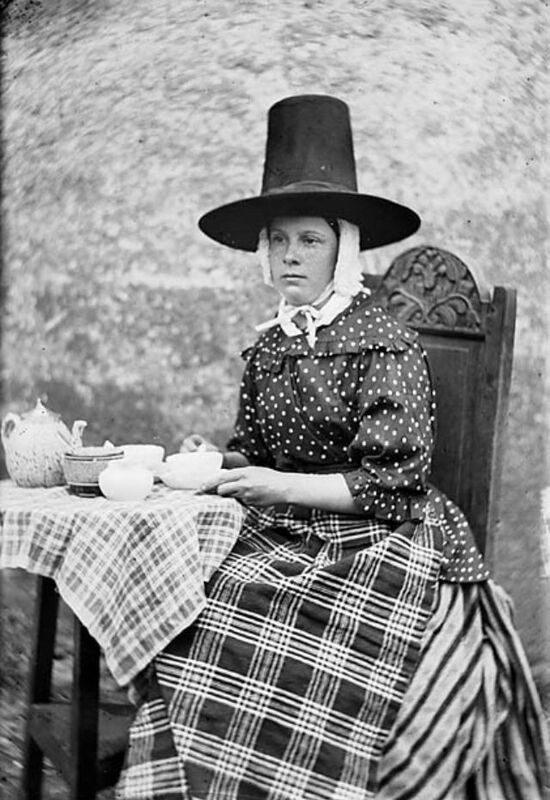 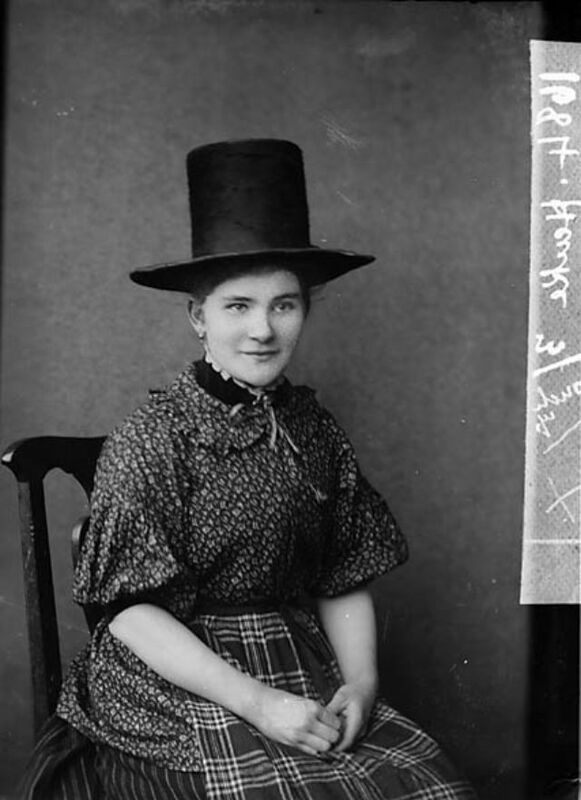 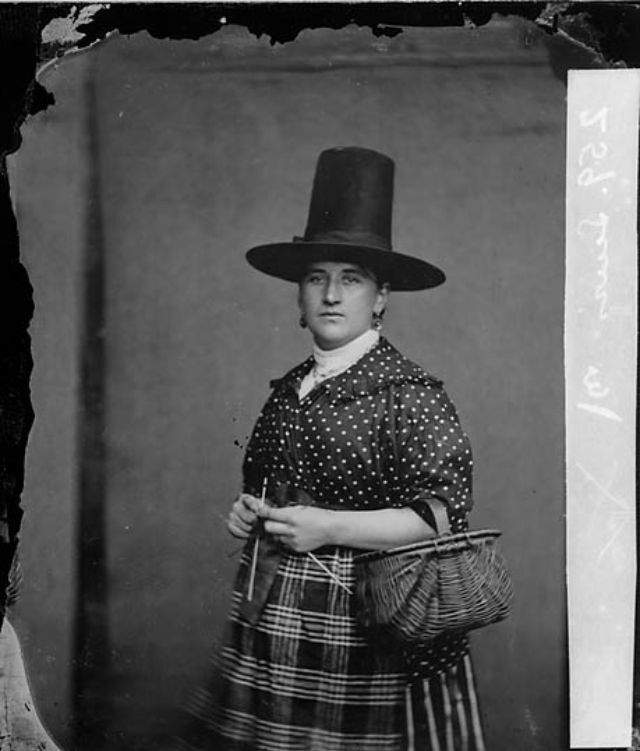 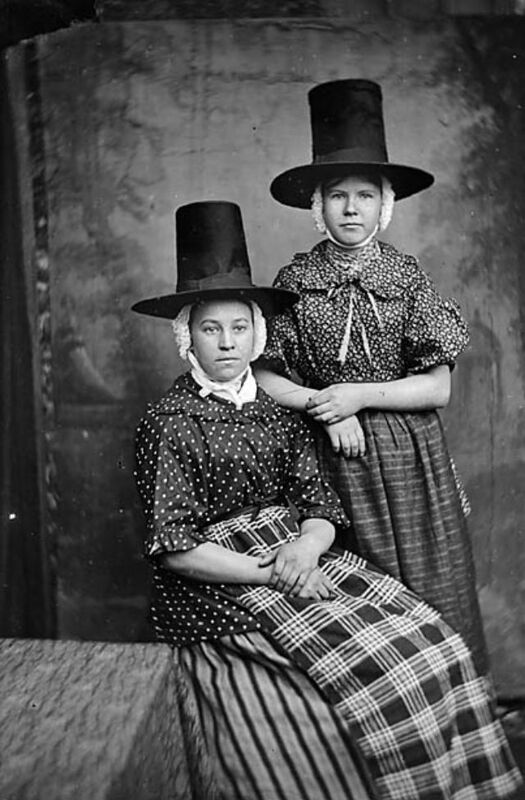 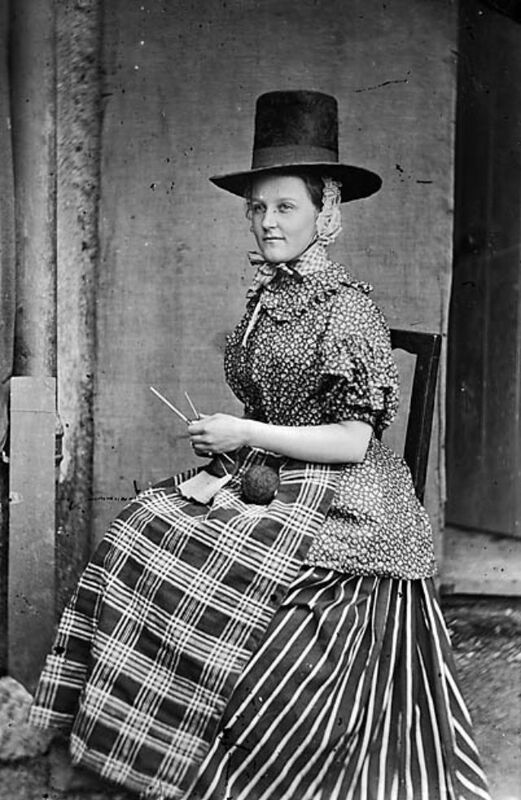 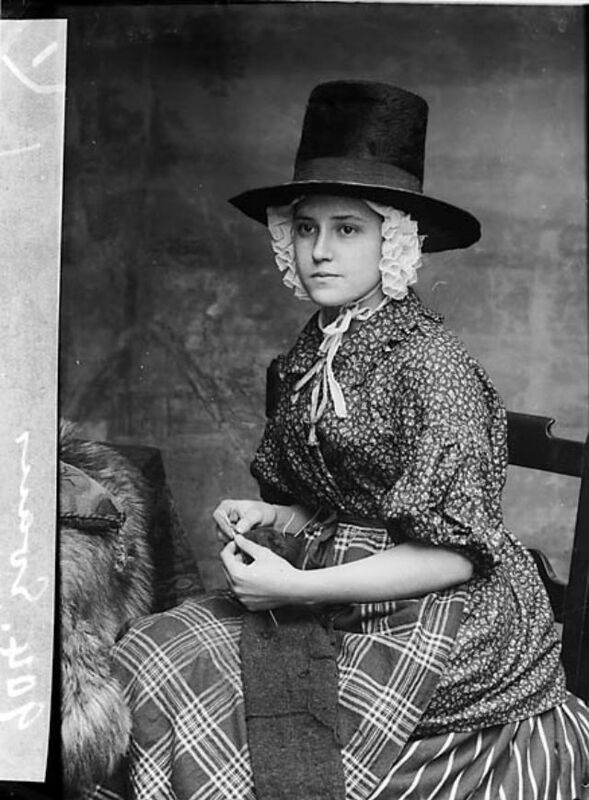 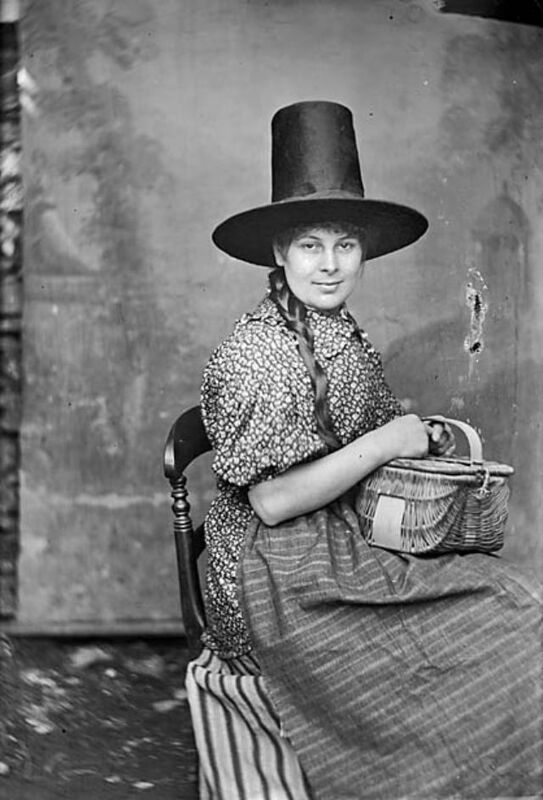 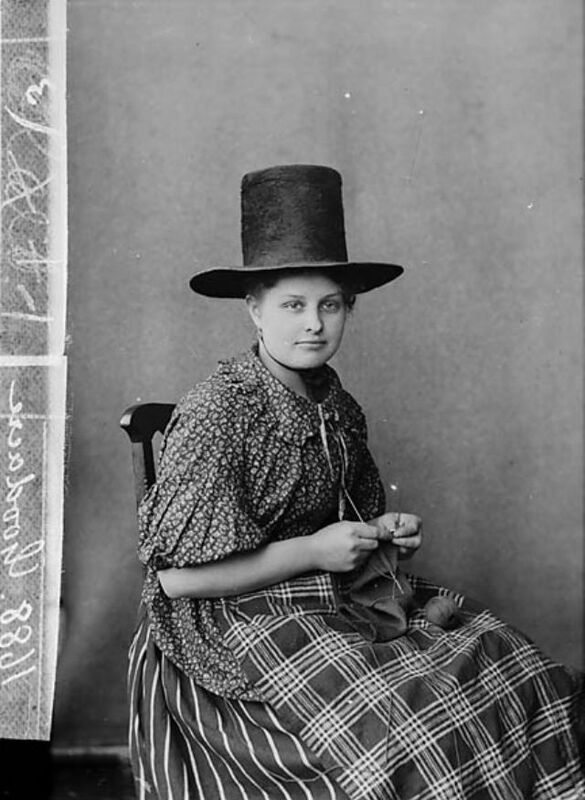 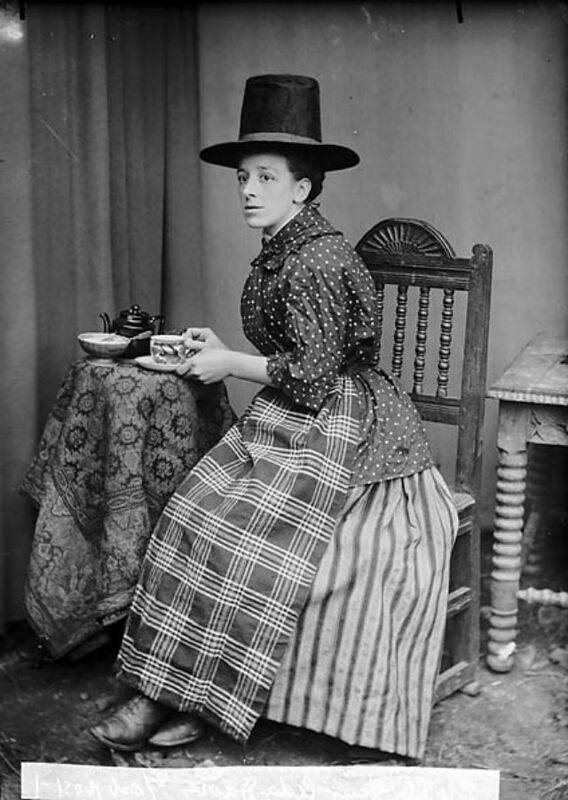 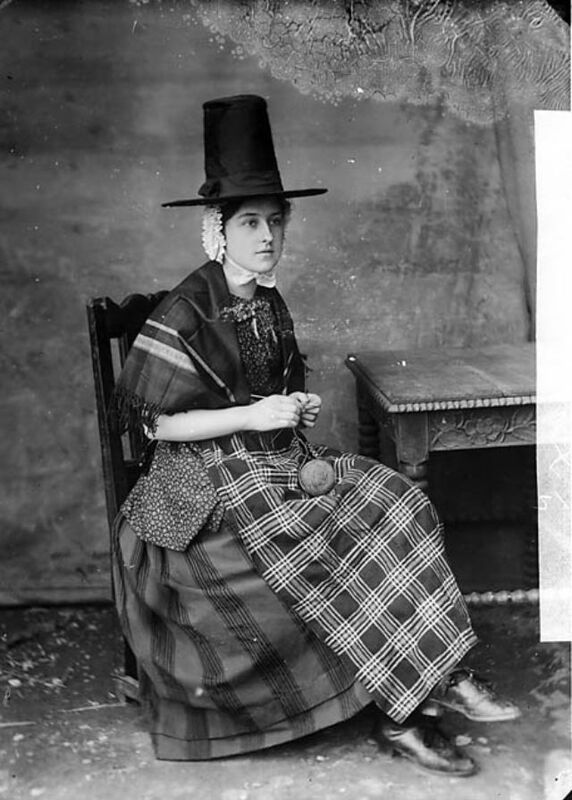 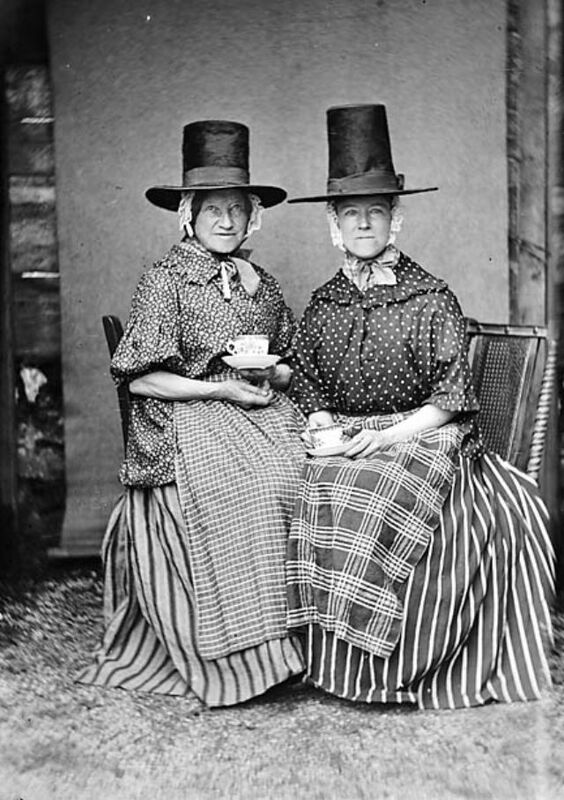 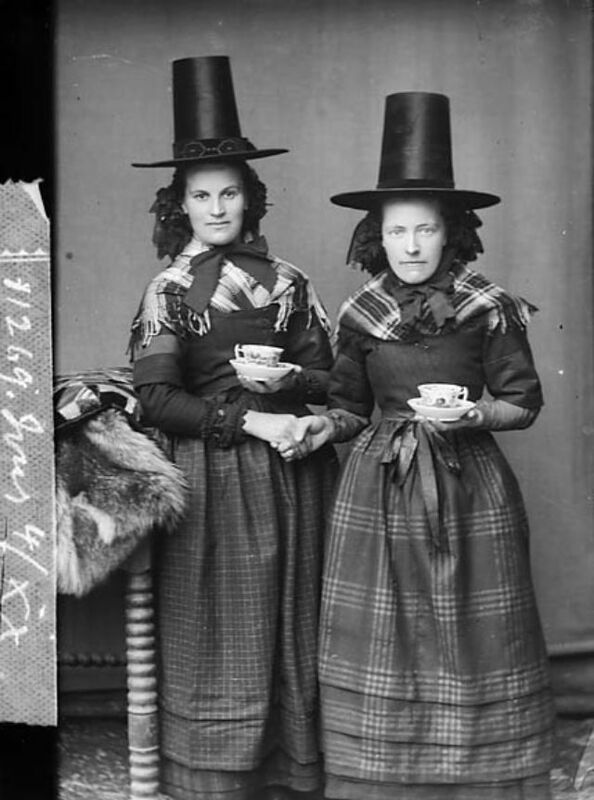 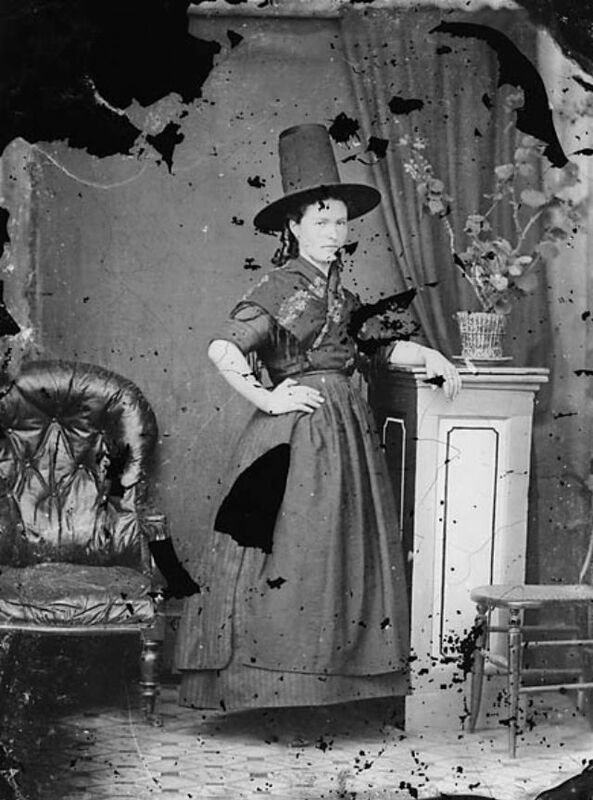 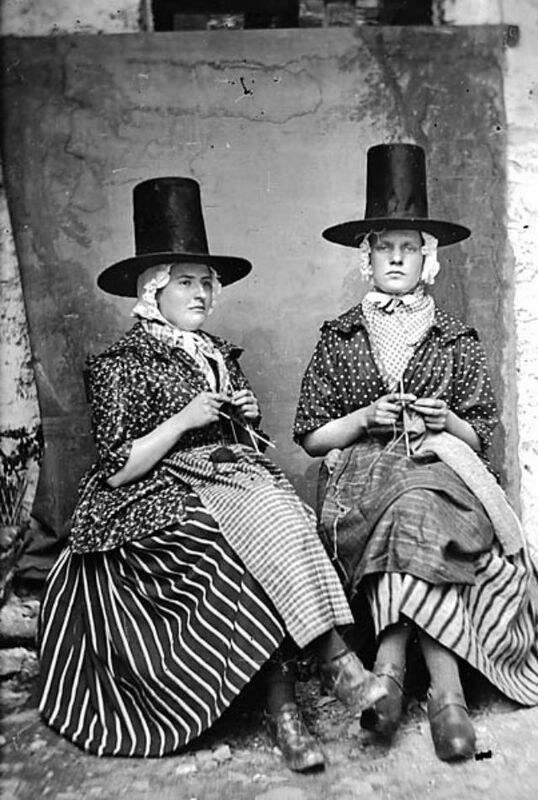 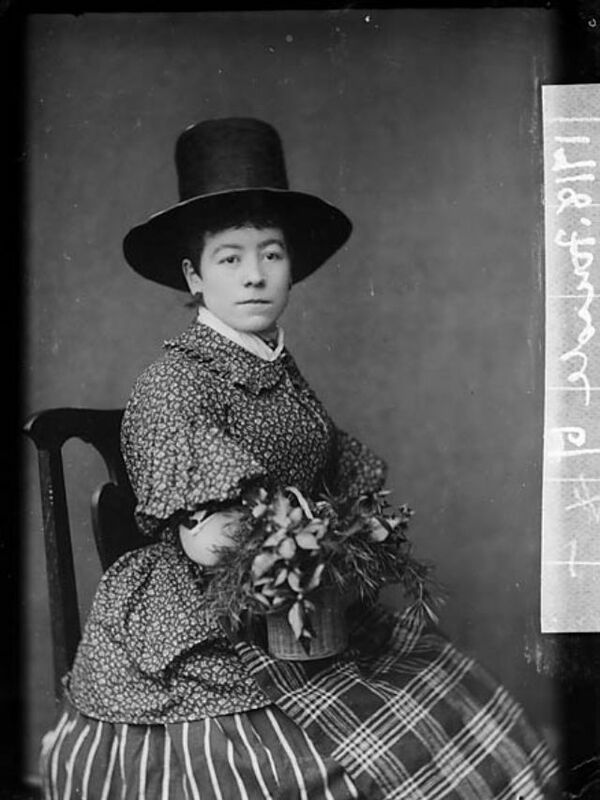 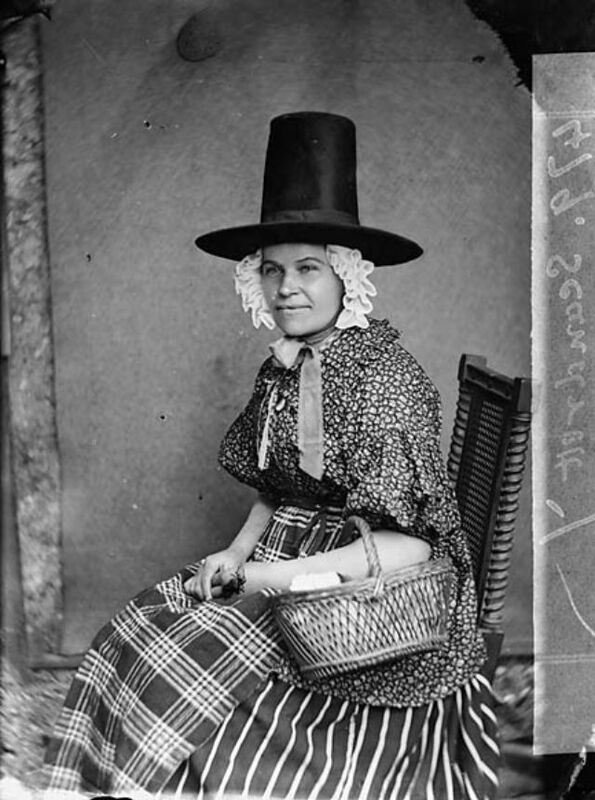 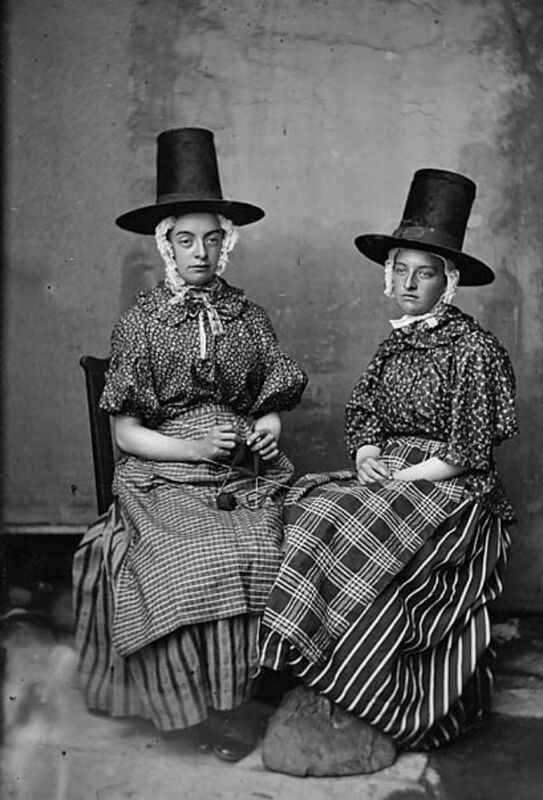 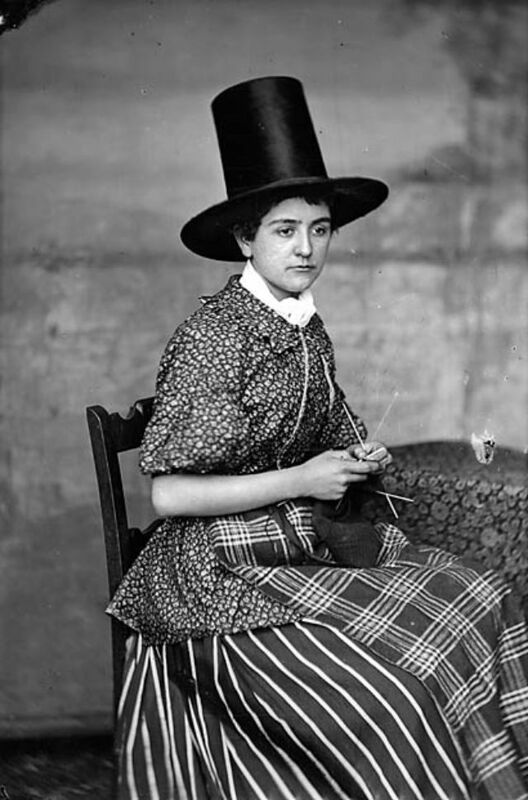 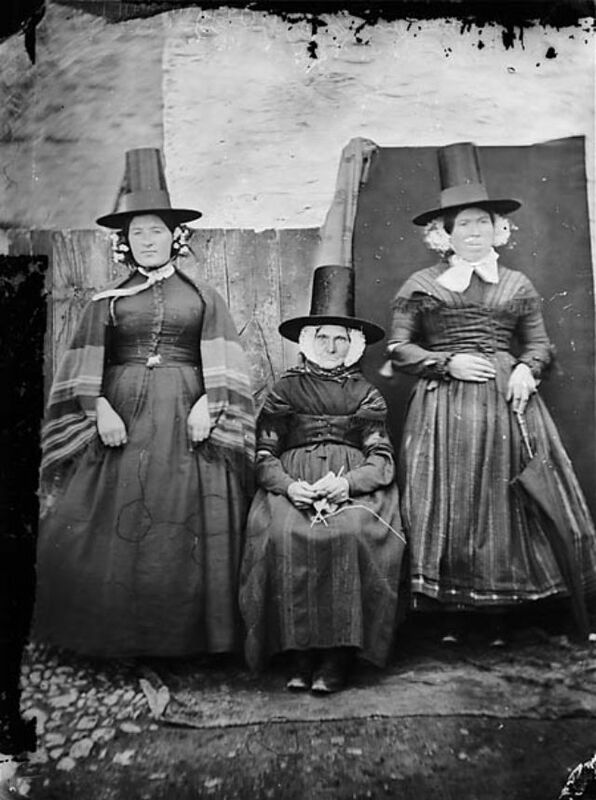 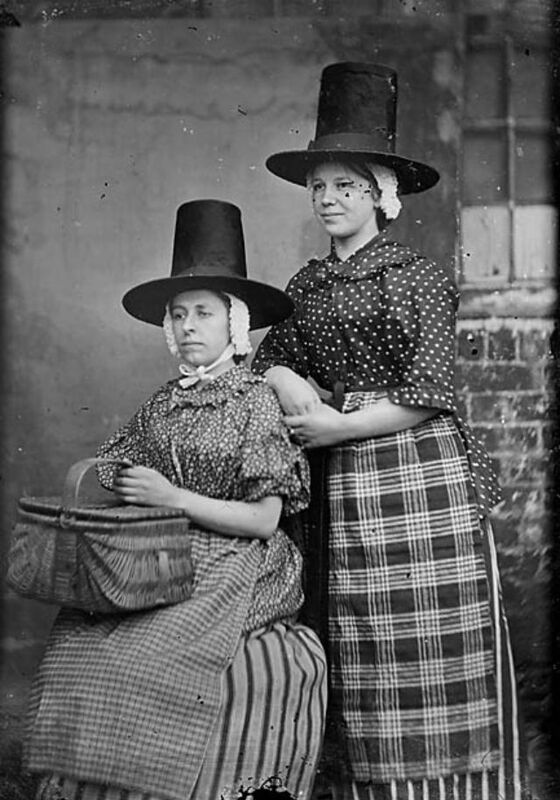 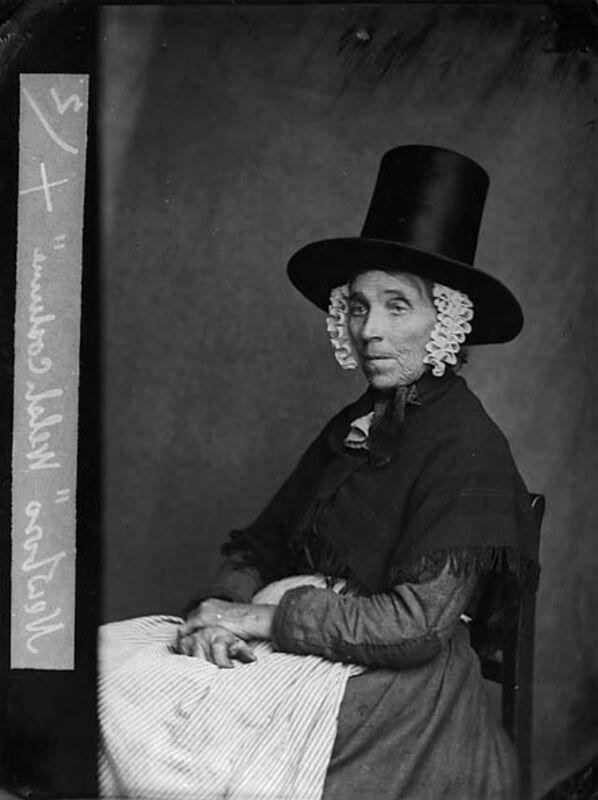 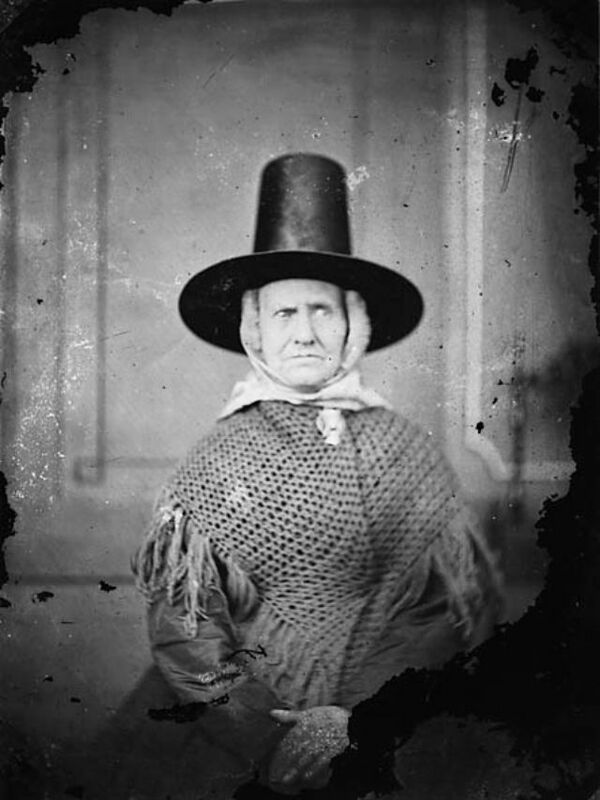 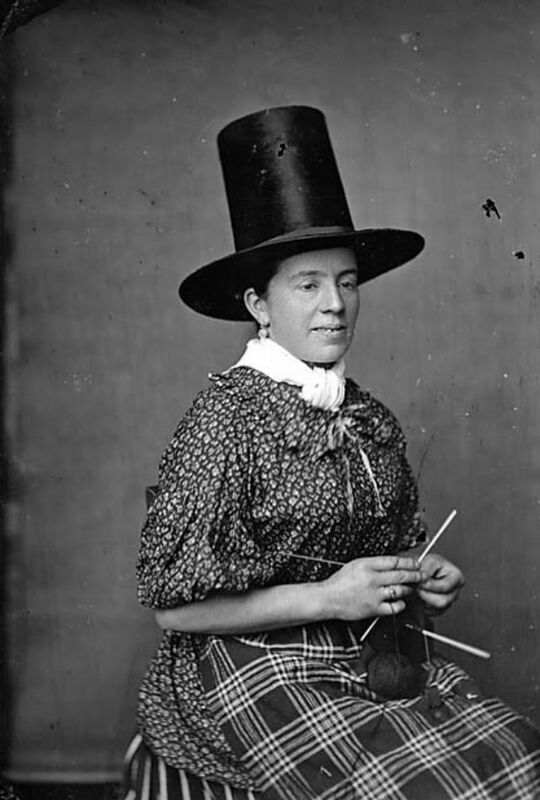 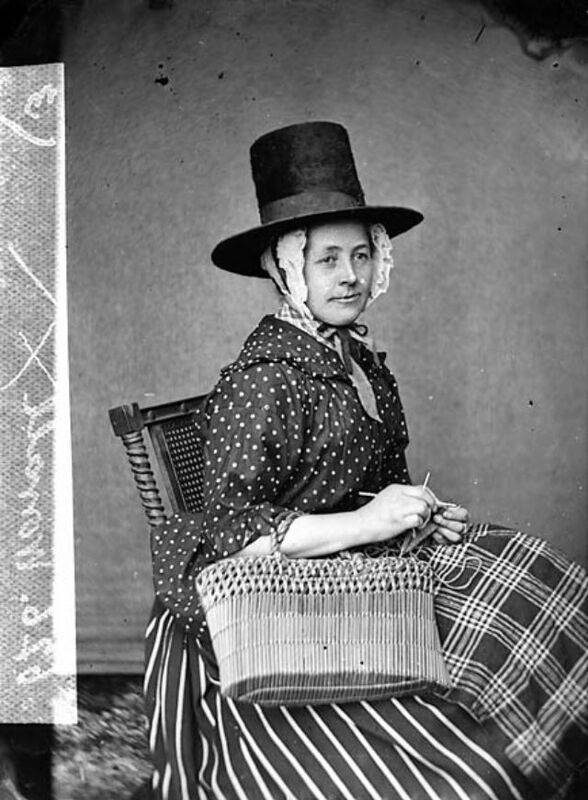 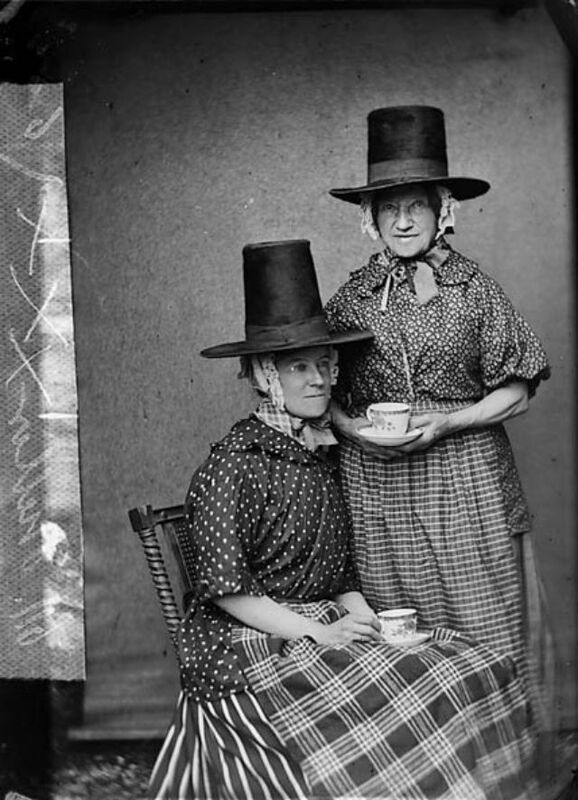 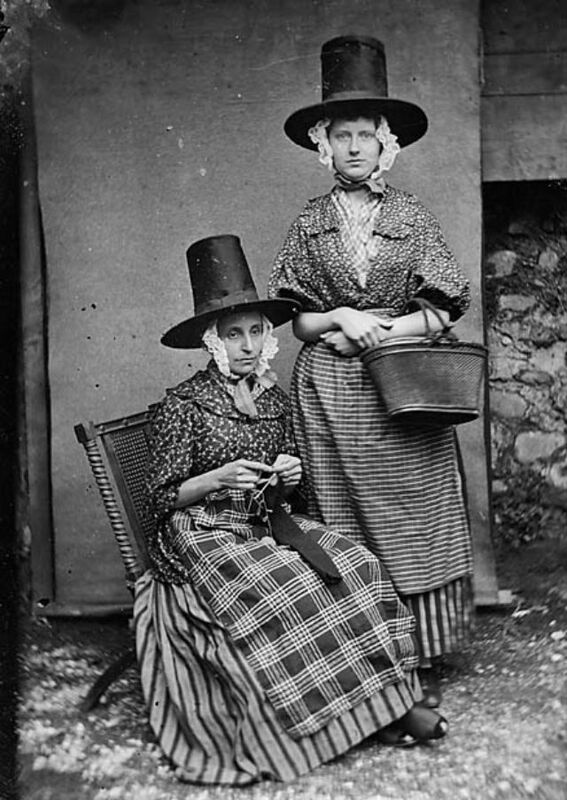 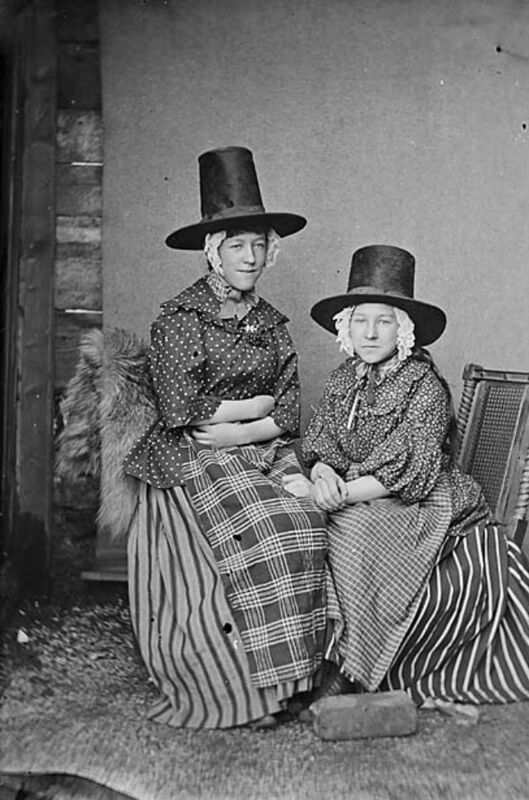 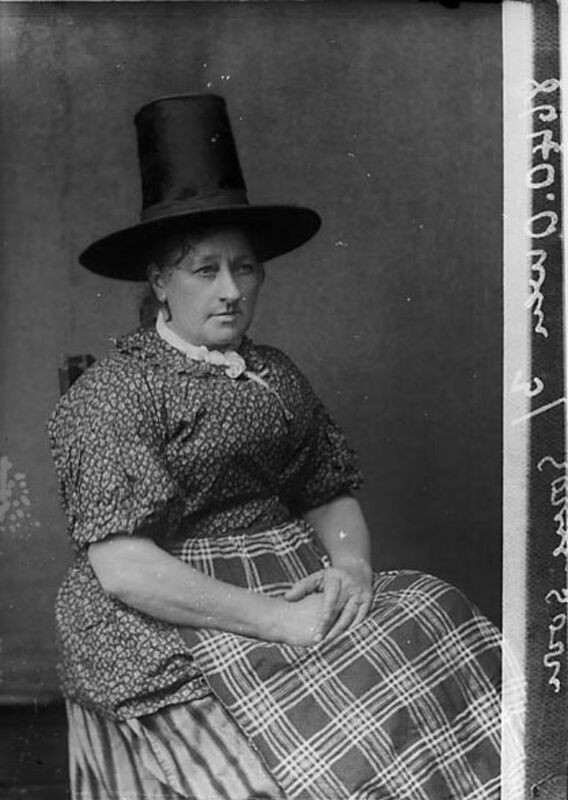 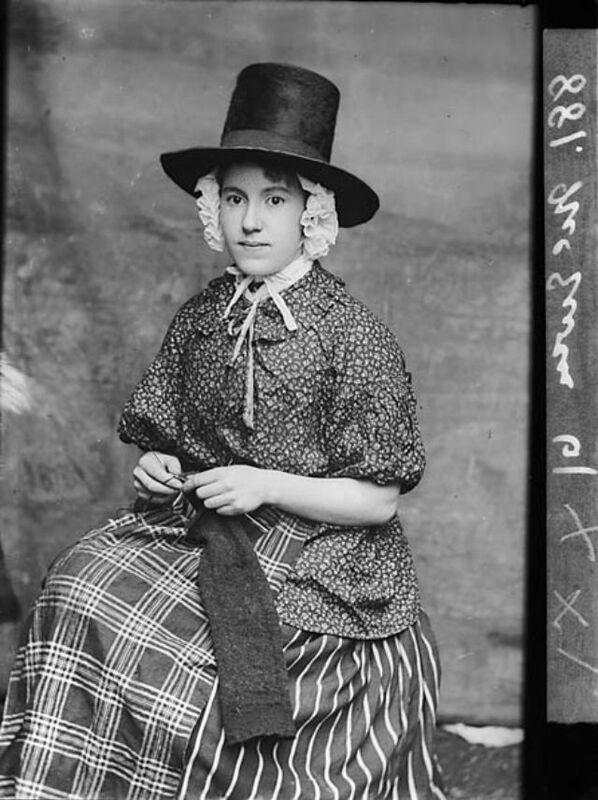 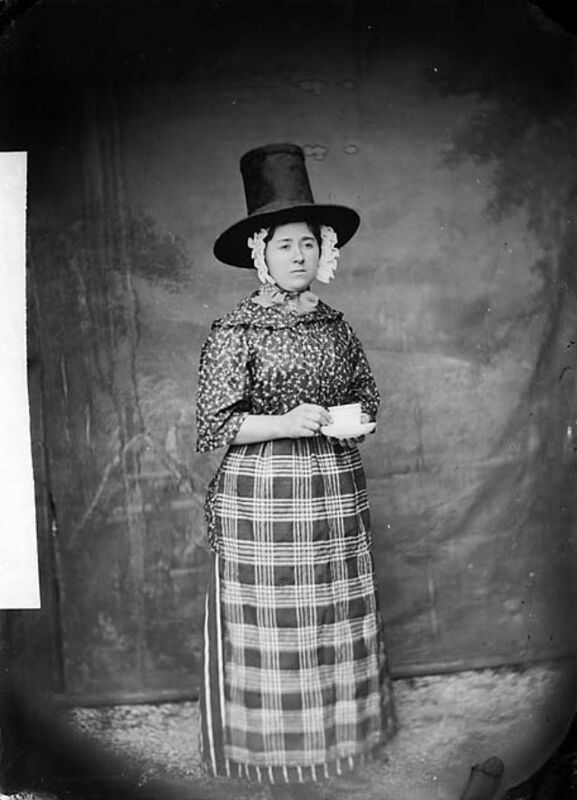 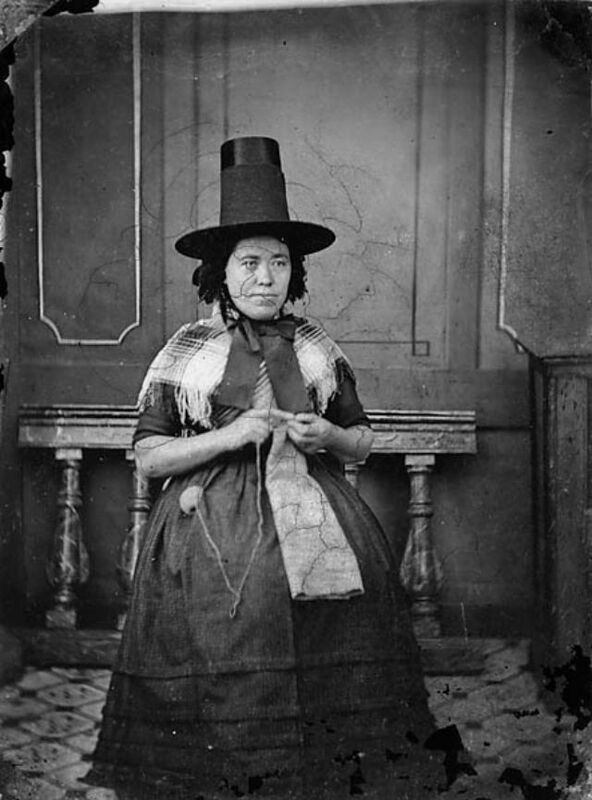 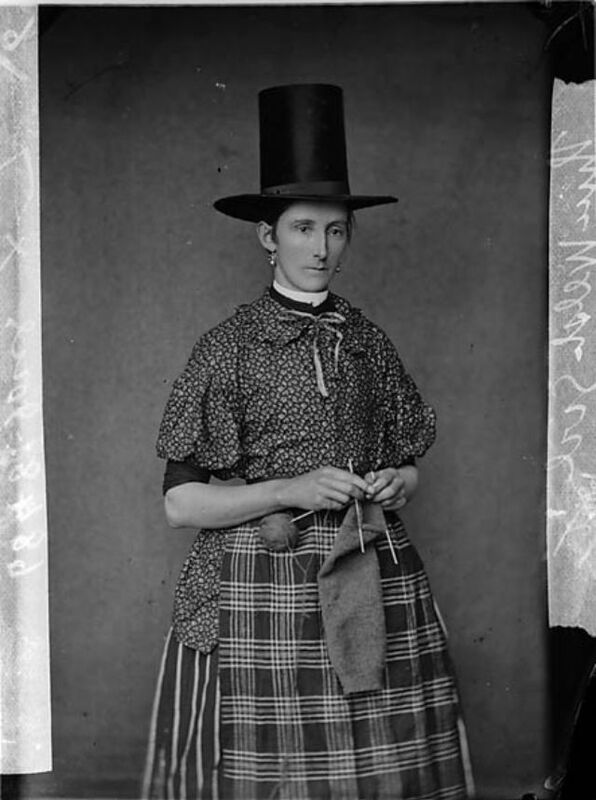 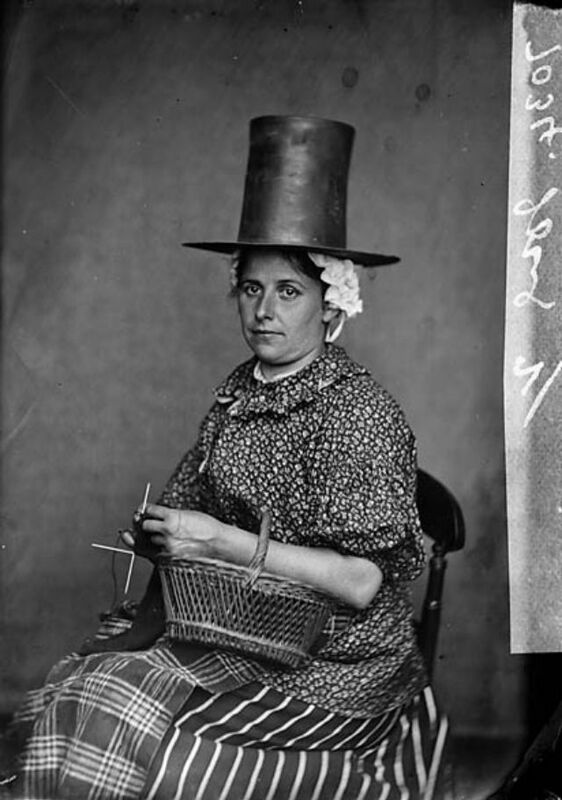 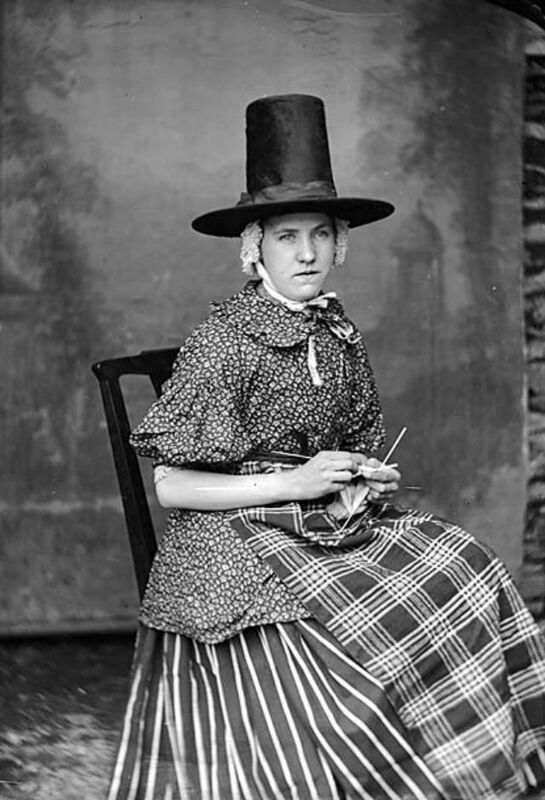 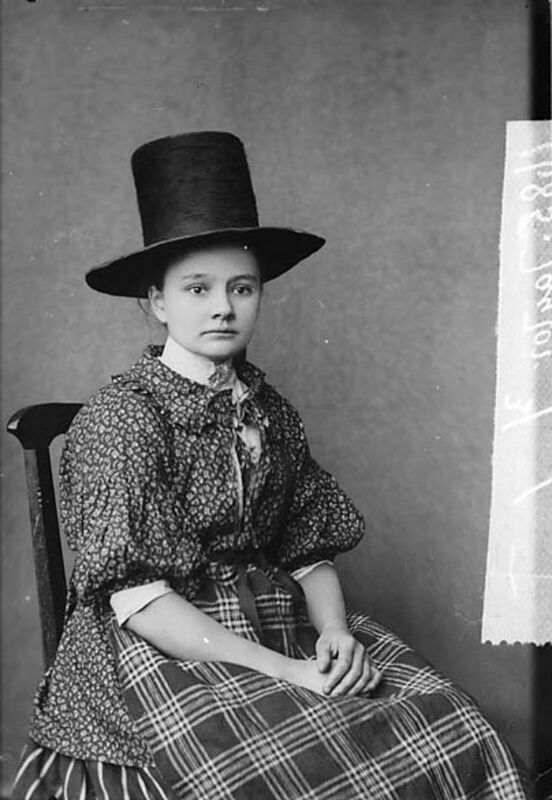 First appeared during the 1830s, the Welsh hat worn by women as part of Welsh national costume is a tall stovepipe-style hat, similar to a top hat, or the capotain. 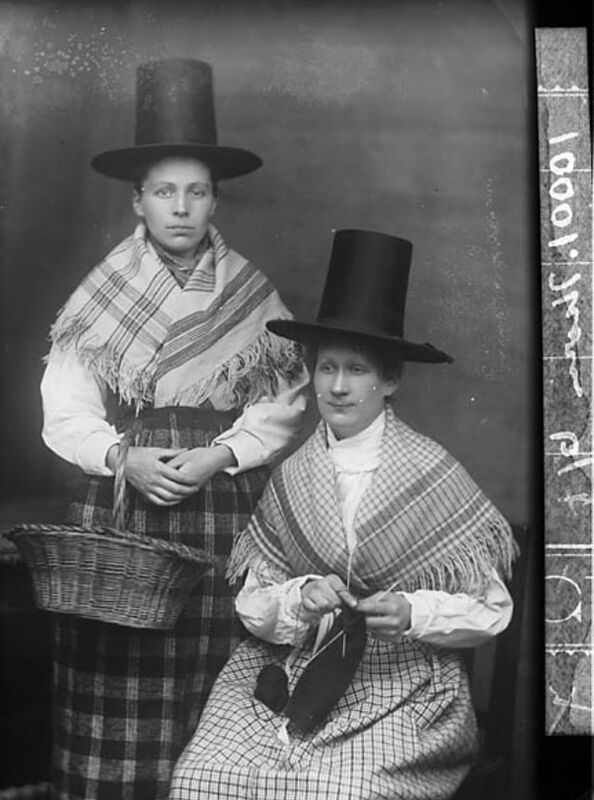 It is still worn by women, and particularly schoolgirls, in Wales on St David's Day, but rarely on other occasions. 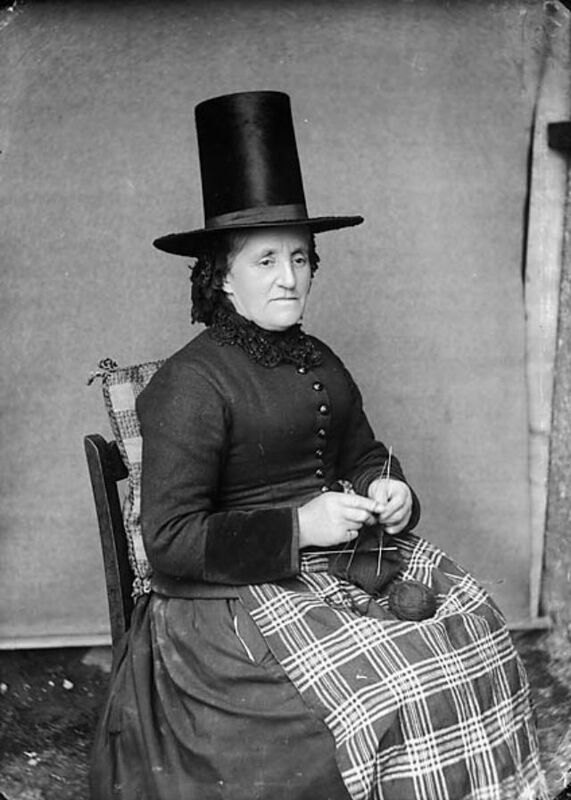 Two main shapes of Welsh hat were made during the 19th century: those with drum shaped (vertical sided) crowns were worn in north-west Wales, and those with slightly tapering crowns were found in the rest of Wales. 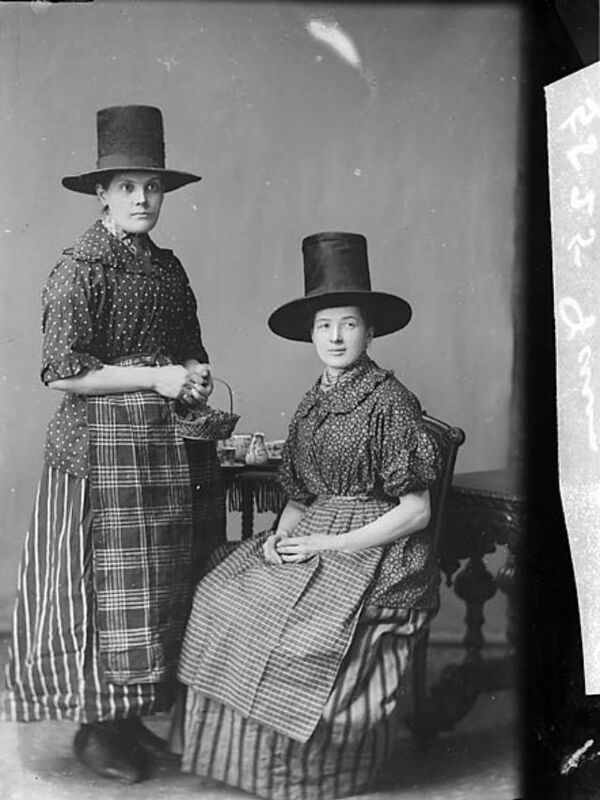 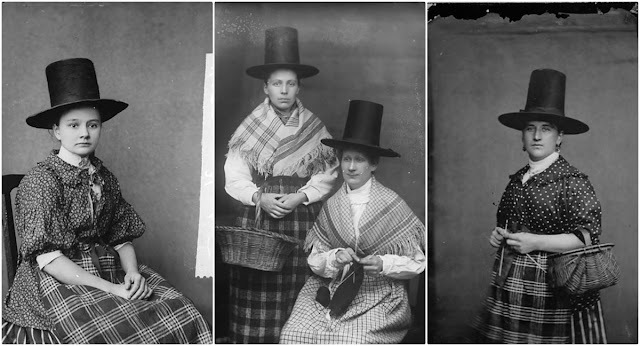 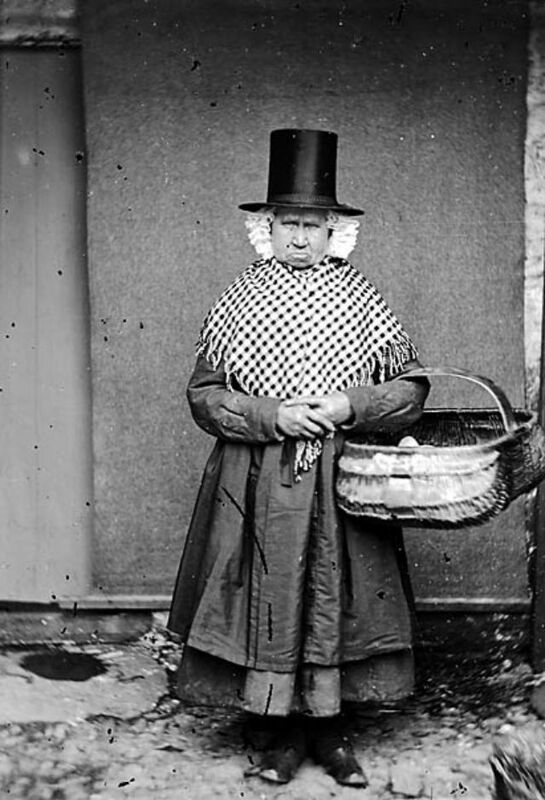 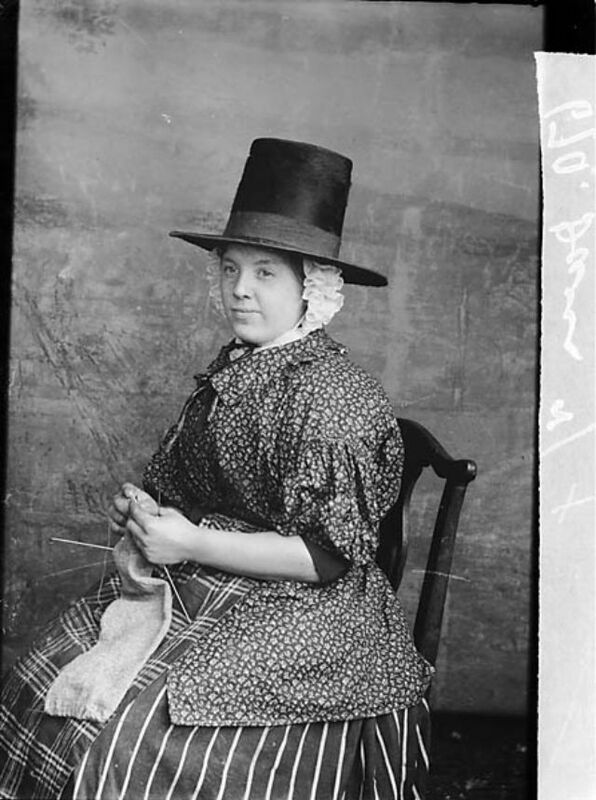 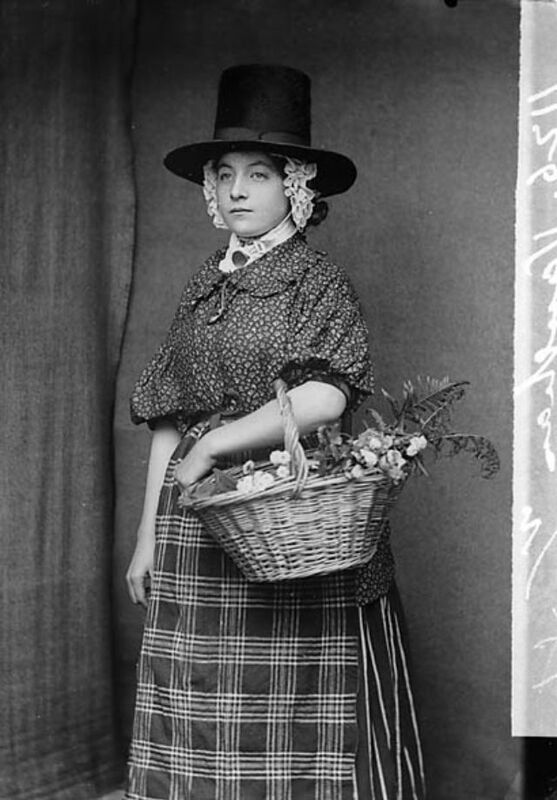 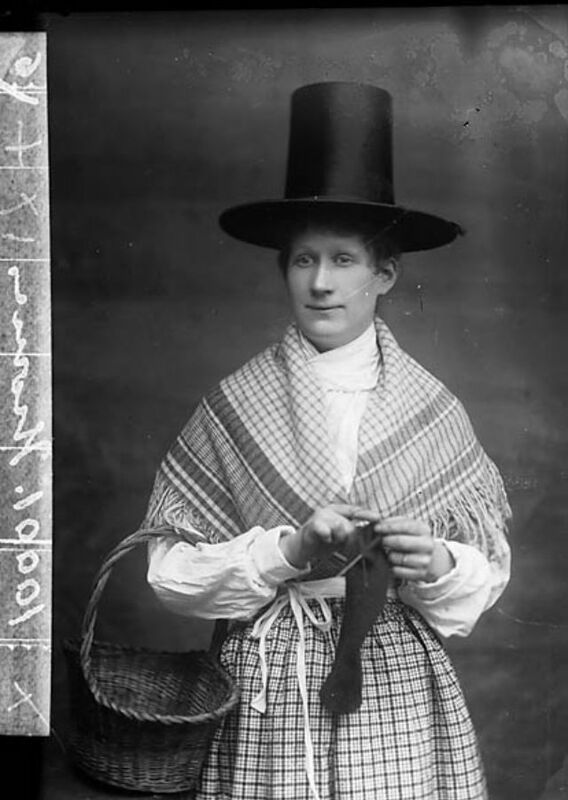 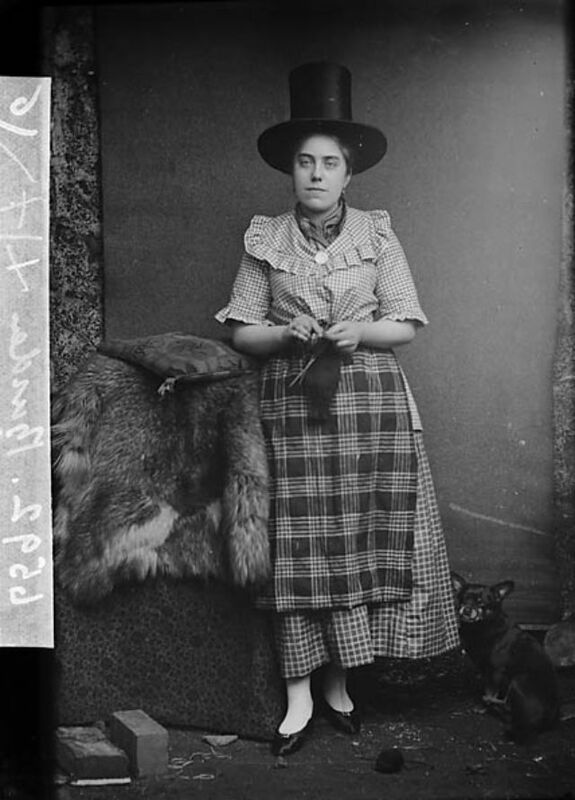 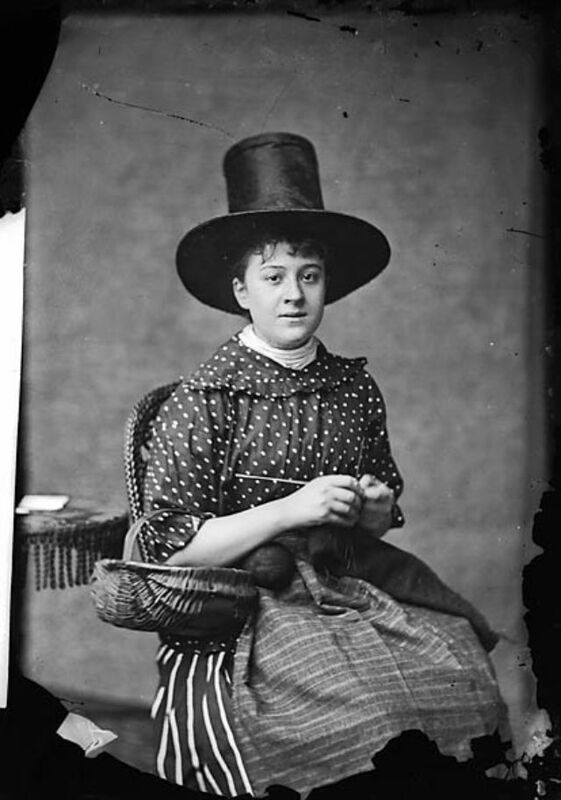 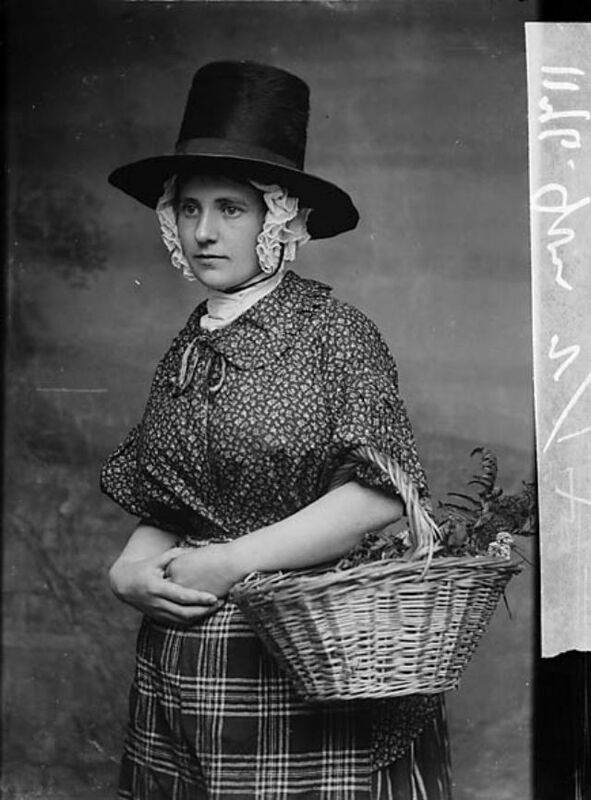 A collection of 49 amazing pictures that shows Welsh women wore traditional costumes with these special hats in the 19 century.